…an important lesson that all girls must figure out for themselves. No matter how hard you try, you can’t curl your hair with a brush. 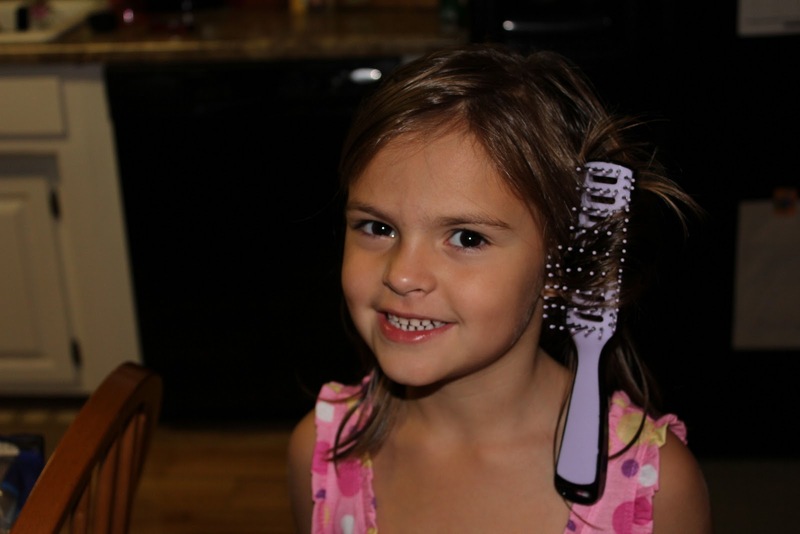 You didn't post the five minutes later picture when you were both in tears trying to get the brush untangled? Bless her! Ha ha, I did the exact same thing when I was little and I remember I was so mad at my mom when she was untangling the brush because it hurt. I know that the same thing will happen with my daughter, but hopefully I'll be home when it happens because I know my hubby would just cut it out!